It’s over! What a weekend! Flat Track Fever and Chinook City Roller Derby League would love to thank everyone for their attendance this year! Your awesomeness has been duly noted. Thank you to the teams who played your hearts out. Thank you to our vendors IT Works, Jet Setter, Nerd Roller Skates, Koffee Klatsch, SAJRD, and Lickity Split. 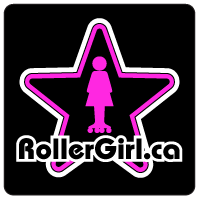 Thank you so much to our generous sponsors Nerd Roller Skates, Riedell Skates, PowerDyne, Radar Wheels, Kwik Bearings, and Roller Sports Canada. Finally, thank you to all of the officials and volunteers from CRDA, CCRD, and SAJRD (plus other places). Without your help we can’t skate.